This lesson can be used as a pre-lesson for the Three Times a Charm! Close Reading with AnnotationsLesson plan. Students will be able to use the close reading strategy to understand a text more deeply. 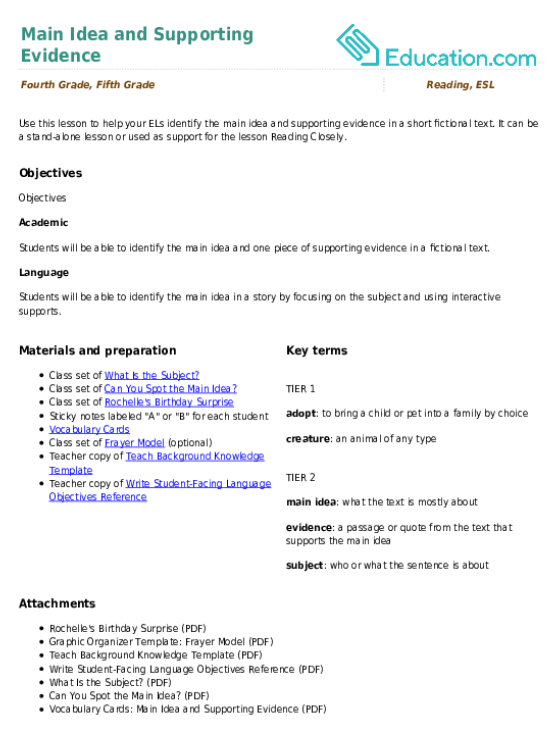 Students will be able to write about the main idea and details in a fictional text with introductory phrases using sentence frames and a graphic organizer. Tell students that today they will practise finding the main idea of a story. Using a story that students are familiar with, provide an example (e.g., "The Tortoise and the Hare" is mostly about a race between the two main characters.). Explain that they will use a graphic organizer and sentence frames to help them write about the main idea and details. Display the vocabulary cards for each key term and read them aloud. Model how to complete the Frayer Model with the word Fiction. 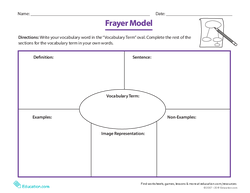 Tell students that they will be filling in a Frayer Model for one of two other key terms, Main ideaOr Detail. Remind them that they can use the displayed vocabulary cards as a resource. Divide the class in half by drawing an "invisible line" or counting off. Tell half of the students that they will become word experts for the term "main idea," while the other half of the class will become word experts for the term "details." Once students have completed their Frayer Model, instruct students to find a partner who has a different word than they do (e.g., a student who is a word expert for "main idea" should find a partner who is a word expert for "details"). Tell students to read aloud the information about their word to their partner. Remind them to take turns so that each word is shared. Tell students that we can use introductory phrases when we write about the main idea and details in a story. 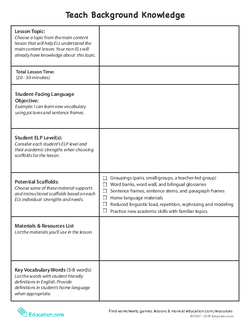 Review the vocabulary card for the key term Introductory phrase. Explain that an introductory phrase is a clause, or part of a sentence, but it does not have its own subject or verb. Instead, it gives information about the subject and verb in the main part of the sentence (or independent clause). 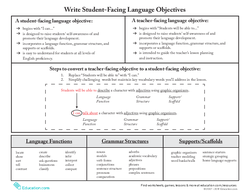 Display the worksheet with the sentence frame bank at the top of the Reading Fiction: Main Idea and Details worksheet. Read the first sentence frame from each section aloud and highlight the introductory phrase in each (e.g., "When the author says ____"). Point out that if you just used the introductory phrase, it would not make sense as a complete sentence. Reiterate that the introductory phrase is not a complete thought. Instead it gives information about the main part of the sentence. Additionally, point out that the introductory phrase is separated from the rest of the sentence with a comma. Let students know that not all of the sentence frames in the bank use introductory phrases. However, during the activity today, they should use at least one sentence frame that contains an introductory phrase. Review the directions and graphic organizer on the bottom half of the worksheet. Instruct students to work with a partner to write about the main idea and details that are outlined in the graphic organizer. Call on several students to share their responses. Display the story "Stone Soup" and read it aloud as students follow along. 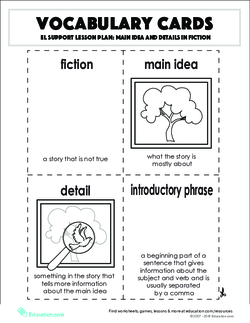 Tell students that they will be using a graphic organizer and sentence frames to write about the main idea and important details in the story. 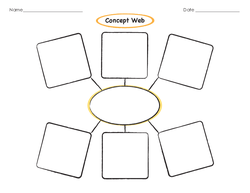 Hand out the Concept Web worksheet. Have students label the centre circle "Main Idea" and write "Detail" in four of the outer circles (or label the organizer yourself before making copies). Ask students to identify the main idea of the text. Give students a moment of think time and then allow them to discuss it with a partner. Call on students to share their ideas and draft a sentence using their input. 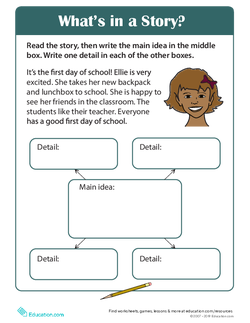 Instruct students to copy the main idea onto their own graphic organizer. Instruct students to reread the text with a partner and look for details that tell more about the main idea. Write a paragraph frame on the board that reads: "The main idea of 'Stone Soup' is ____. When the author says ____, it tells more about the main idea. Another important detail is ____." Hand out a sheet of lined paper to each student. Then, instruct students to complete the paragraph frame independently, using their graphic organizer as a guide. Call on a few students to read their completed paragraph frames aloud. Instruct students to underline the introductory phrase in their paragraph. Call on a volunteer to share the answer with the class. 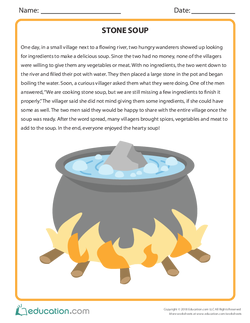 Pre-teach additional vocabulary terms (e.g., "wanderer," "ingredients," "villager," "hearty") that students will see within the story "Stone Soup." 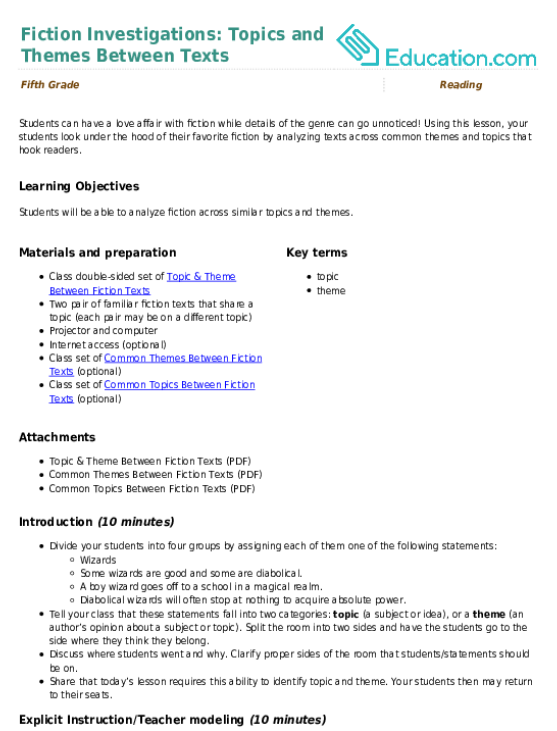 Offer home language (L1) definitions if applicable. 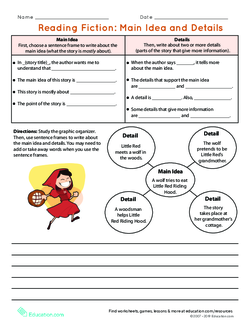 Offer students additional practise with a simple five-sentence story (see optional worksheet What's in a Story?). 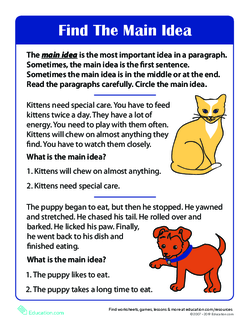 Have advanced ELs repeat instructions and key vocabulary as they summarize important information for the class. 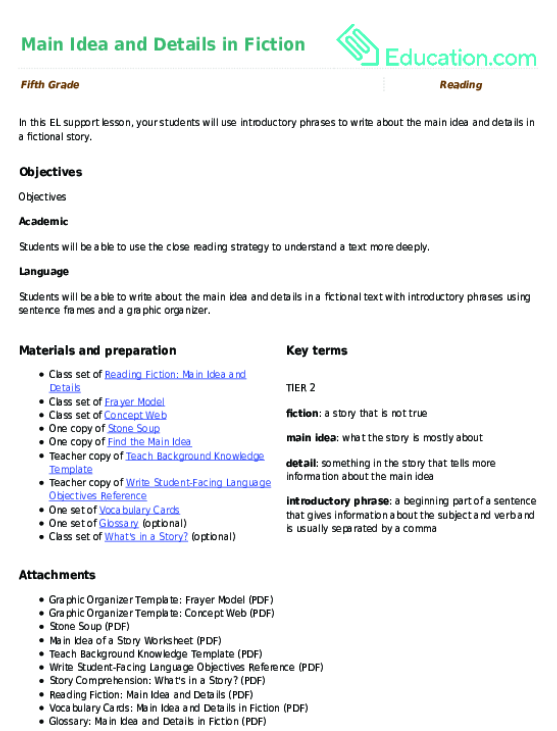 Display the Find the Main Idea worksheet so that just the first story is showing. Do a choral reading with the class, then read the two answer choices aloud. Ask students to vote on which answer choice best represents the main idea of the story by holding up one or two fingers. Scan student responses to gauge understanding. Then, call on a student with the correct answer to share a detail from the story that tells more about the main idea. Repeat with the second story. Explain that the first time they read a story, students should think about the main idea, or "big picture," that tells what the story is mostly about. The second time they read the same story, students should look for important details. Tell students that each time they reread a story, they will be able to think more deeply about it. Remind students that, as fifth graders, they will be expected to analyze fictional stories to make inferences and think about theme. However, before they can start their deep thinking, they need to understand the main idea of the story. EL students will practise using sentence frames to write about main idea and details. 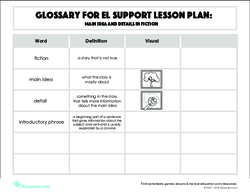 Use these vocabulary cards with the EL Support Lesson: Main Idea and Supporting Evidence. Students can have a love affair with fiction while details of the genre can go unnoticed!